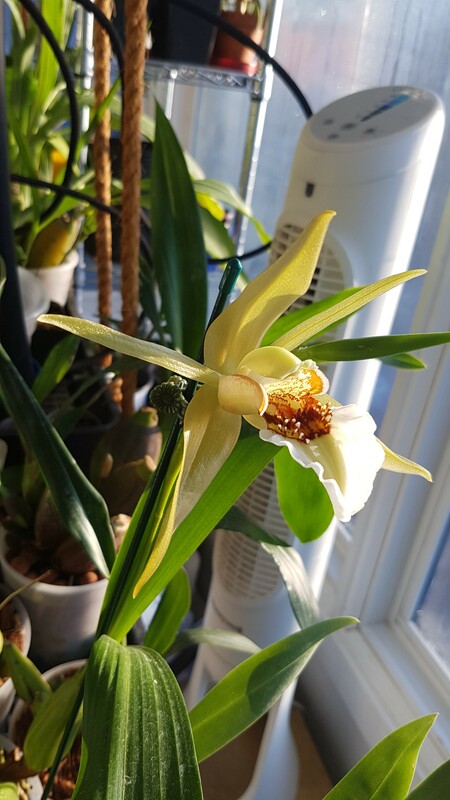 Coelogyne lawrenceana - Orchid Board - Most Complete Orchid Forum on the web ! 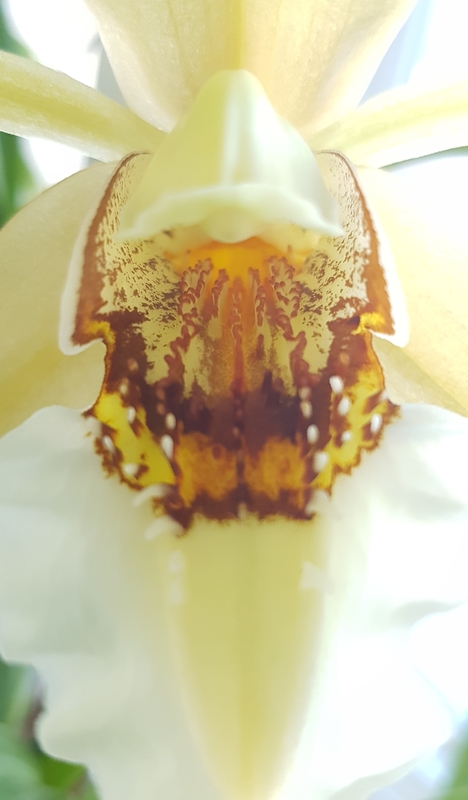 Its a big flower and has a nice mild fruit scent to it! Coel. are a fave of mine and bloom on mine is calling to the others! Very nice, I really do like this family of orchids. 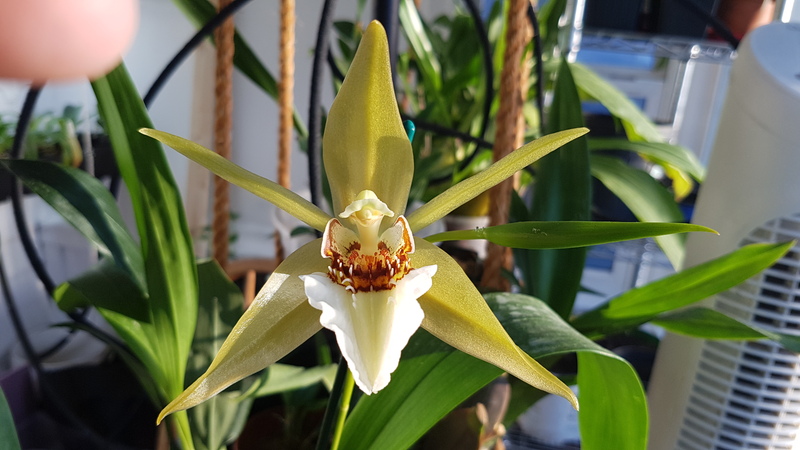 I had too pull mine out of the greenhouse since it was suffering leaf yellowing and freckling. I think this species likes it cooler then our zone 6b specially when it is this warm.